New Delhi : This New Year, Japanese Consumer Electronics brand in India, Sansui, gives another reason for the customers to celebrate by launching a never before heard offer, 'Jitna Do Utna Lo Offer'. With an aim to revolutionise the consumer electronics market, Jitna Do Utna Lo offer is a special initiative launched by Sansui that extends full amount benefits to the customers. Under this limited period scheme the customers not only take home the product but also gifts of the equal amount value, for no extra cost. Under this bonanza of a deal, with purchase of selected Sansui LEDs, customers can take home gifts ranging from Sansui 65” LED to Sansui 50” LED TV and other gifts such as Kenstar Automatic Fan. 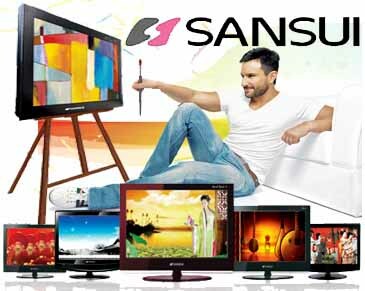 Also on offer is the extended warranty scheme of complete 5 years on the prime product, and an additional Jitna Do Utna Lo entitlement certificate by Sansui that can be redeemed on the purchase of the next Sansui product after 4 years and 11 months of the issue date of the certificate. Amitabh Tiwari, COO, Sansui, said, “The launch of 'Jitna Do Utna Lo Offer' has redefined our commitment to provide the best and more to our valued customers. We want to make the New Year larger than life for our customers and give them an opportunity to rejoice in everything new."